Flagler Beach government will negotiate with Flagler Golf Management LLC to run the old Ocean Palm Golf Club, but a majority of commissioners have serious concerns and unanswered questions about the company. The Flagler Beach City Commission voted to apply only a light regulatory hand on the city’s famed farmer’s market, and to start negotiations on buying the last remaining enclave in private hands at the former Ocean Palm Golf Club at the south end of town. 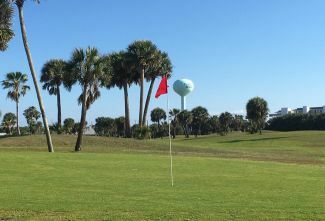 the Flagler Beach City Commission will look to buy the last 3 acres within the old Ocean Palm Golf Club at the south end of town and look to return the whole parcel to a golf operation through a lease with a private company, assuming one can shoulder the task.